Special Containment Procedures: The whereabouts of SCP-007-J are currently unknown, although it has been confirmed that it has not left Site ████ since its initial discovery in Officer Blake and Officer Evan's office. Recon Team Theta is awaiting authorisation to sweep the premises. In the mean time, all staff are advised not to engage SCP-007-J due to its unknown nature. 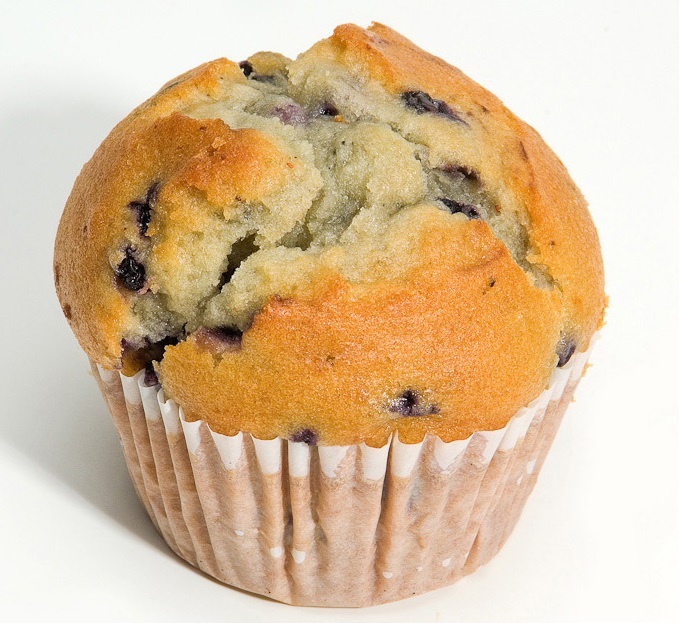 Description: SCP-007-J is a blueberry muffin which belonged to Foundation Officer Evan, prior to the discovery of its anomalous nature and its subsequent designation as an SCP. SCP-007-J was identified during Officers Blake and Evan's assigned lunch hour on ██/██/████. The anomaly occurred during a phone call Officer Evan received, which required him to leave the room. Whilst unobserved by Officer Blake, SCP-007-J, which Officer Evan had left unattended on his desk (planning to consume it after his phone call, believing it to be an ordinary muffin), disappeared by unknown means, leaving only a residue of unknown properties on Officer Blake's lips. The transcript of the exchange which led to SCP-007-J's discovery is recorded below. The residue left on Officer Blake's lips was identified as crumbs from SCP-007-J. It is currently unknown how or why SCP-007-J left its mark upon Officer Blake, but medical analysis has revealed no long term effects. As a precaution, Officer Blake is to spend three (3) days in quarantine. Additionally, to prevent other on-site pastries from animating as a result of exposure to SCP-007-J, or the Foundation itself (as may be SCP-007-J's origin) the cafeteria is to be kept under armed guard until SCP-007-J is secured.